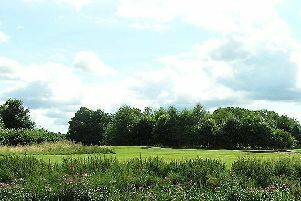 Whitecraigs Bowling Club, where members hope to sell the site at a profit. Residents in a southside suburb are pulling together in a Daniel versus Goliath fight — one, which they claim, is going to get messy. Some of the homeowners, who live in the greenbelt of Broom Estate in Whitecraigs, are opposed to housing developer McCarthy & Stone buying the bowling club land and building retirement properties, which they claim there is no justification for. The present members of Whitecraigs Bowling Club say they are being forced to sell up due to the club running out of money, however, a challenge to this argument was made by one resident who claims they closed the waiting lists four years ago, therefore it was a foregone conclusion they would run into financial difficulties. The multi-million pound deal, if the Land Tribunal agree to change the terms of certain title conditions under ancient long-standing feudal laws, is set to net the remaining club members a substantial sum of money. McCarthy & Stone had already applied to the Lands Tribunal for removal of these conditions but after legal opposition instructed by two other residents, they have now withdrawn their application and will focus on the grant of planning permission first. A spokesperson for McCarthy & Stone said: “We are consulting local people about a proposal to develop retirement apartments at the site of Whitecraigs Bowling Club, following a decision by the club over its future viability and potential closure.